Piscataway, New Jersey – February 2, 2019 – Tingley Rubber Corporation, a leading supplier of protective footwear and clothing, announces new line additions to its Job Sight™ line of high visibility apparel. The Job Sight line was launched in 2009 and over the past nine years has been expanded to include several innovative new styles including the recently launched Sportsman Shirts. Tingley Rubber is now taking the opportunity to build on this success and is bringing four additional new t shirt styles to its offering. New premium features are being incorporated in these styles including high performance, snag resistant polyester materials, Sawtooth™ style reflective tape for added flexibility and heat stress management, and color-blocking with black fabric to conceal stains and extend the life of the garment. These line extensions include 3 short sleeve and one long sleeve style. All styles are ANSI 107 Type R Class 2 or Class 3 compliant for high visibility and have inventory available now in all sizes. These styles join Tingley’s existing moisture-wicking polyester t-shirts, Polo Shirts and Sportsman Shirts to provide a variety of options for any application. 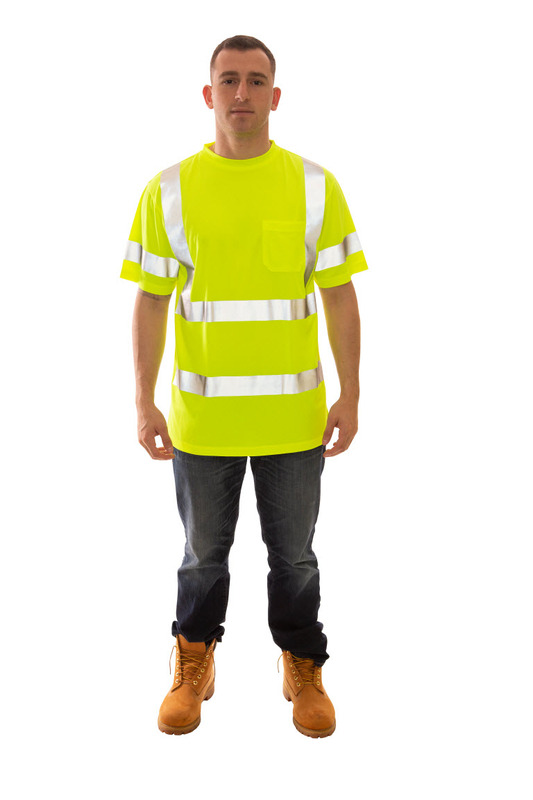 These improvements and innovations add new levels in performance, safety, and comfort to Tingley’s already wide range of high visibility apparel. Tingley protective footwear and clothing have been protecting generations of workers since 1896 and are available from authorized distributors in the US and Canada. For more information, please contact a Tingley Sales Representative or visit the Tingley website at www.tingleyrubber.com.